A commemorative parade celebrating the life of Native American Pocahontas will take place from 1.30pm by St Andrew’s Gardens. The procession will then make its way up the High Street, Old Town Hall to finish by St George’s Church. 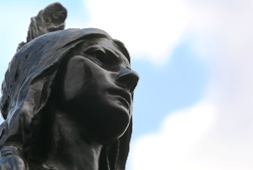 Various community groups, schools, American guests from Chesterfield County, and other dignitaries will take part in that very special event commemorating 400 years since Pocahontas died in Gravesend.